The other night Mom and I cut down about half our elderberry tree to deter most of the fruit flies from attacking our other tree. Now it’s a race to see who can get to the berries first, nature or us. And while I’ve participated in this sprint to fall, I have never been personally drawn to this herb. I’ve used it when I am sick, when I have a sore throat, even on my waffles but never with any knowledge of why it is good for me. So I decided to do some reading. Luckily, last Sunday Susan Hess gave us a material medica on elder. I enjoy her material medica because there is always a little bit of everything on it. Something about the myths or history, black letter symptoms, uses, and a few recipes. For Elder Susan Hess says that it is, “called ‘The Medicine Chest of the Country People,’” and before reading the rest of the page, I had a good idea why. Mom has tried to use herbs in whatever she creates and elderflowers and elderberries are no exception. 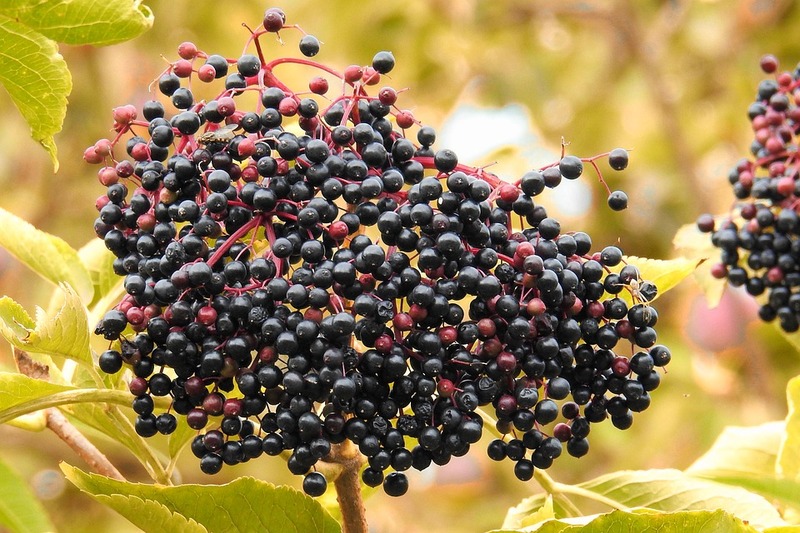 Elder has always been a constant in our house because the flowers and berries are antiviral. The elderberries seem to ripen right as students return to school. It’s almost a reminder to prepare for cold and flu season. While I’ve always had it as a syrup or tincture, Susan Hess suggests using it in a tea with peppermint and catnip for kids and to add yarrow for adults. Elderberry is not only for medicinal purposes, though. 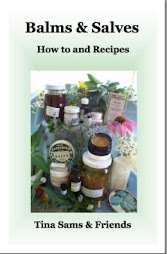 In An Elder Gathering (available in print or pdf format) there are fantastic recipes, instructionals, and lore for incorporating Elder into your daily routine. Betty Pillsbury has unique recipes such as elderberry fritters and dumplings while Susanna Reppert-Brill offers everything from elderberry liqueur to a shrub that made my mouth water just by reading the ingredients. Using the elder flowers or berries offers a variety of ideas and recipes to prepare for the winter ahead. 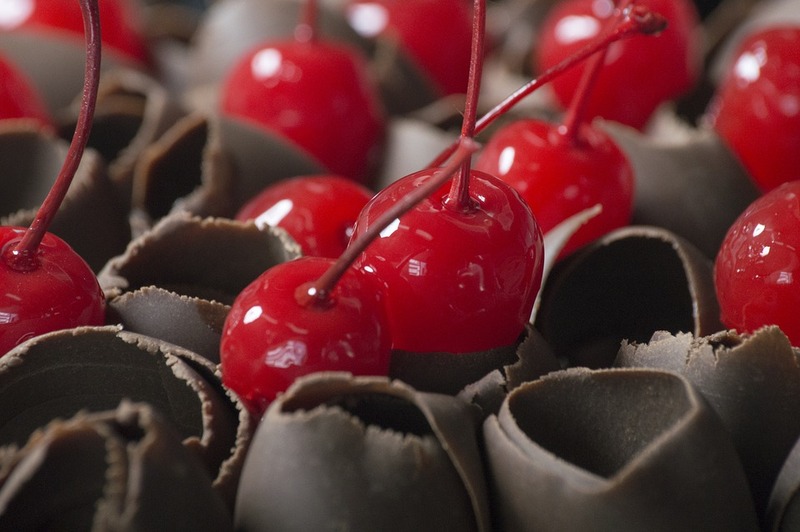 Since the plant is so adaptable, it can be made into anything from tincture to fruit leather, making it perfect for children and adults to take as needed. 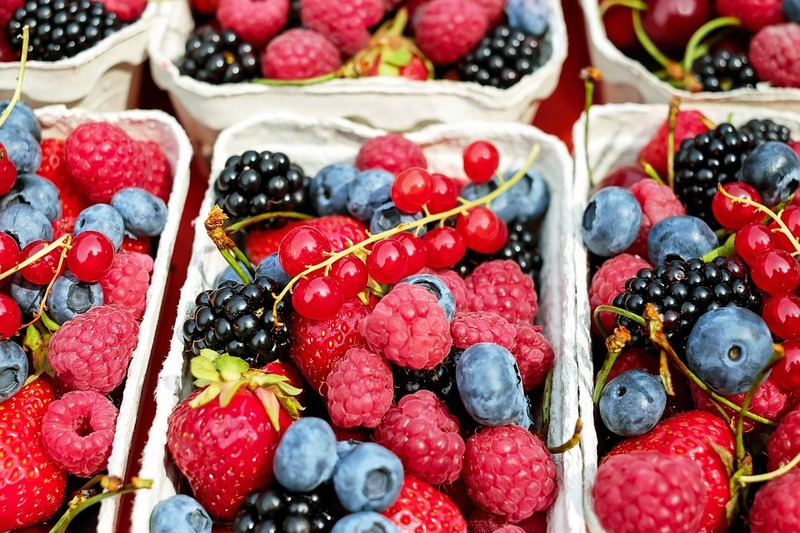 Don’t be afraid to experiment with the berries or flowers this summer. You’ll thank yourself this winter! Brown, Michele; Reppert-Brill, Susanna; Hess, Susan; Pillsbury, Betty, Sams, Tina; Schwartz, Maryanne. An Elder Gathering. 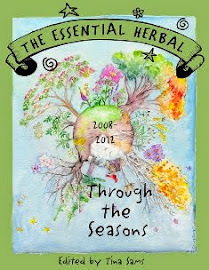 Lancaster: The Essential Herbal, 2012. Print. Hess, Susan. 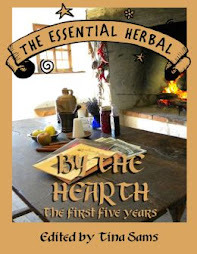 Homestead Herbalism: Materia Medica and Other Herbal Gatherings. Chester County, Pa, 2013-2014. Elder page. Print. As I have had the opportunity to learn about herbs, I have decided to begin a weekly update of herbs I have taken an interest in and what I have learned. 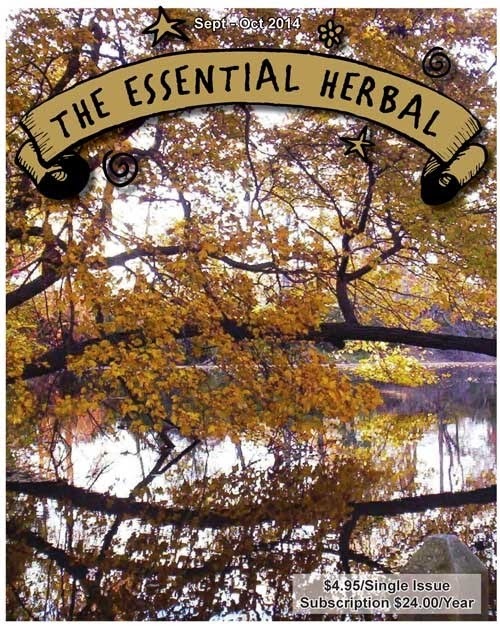 Of course it will be somewhat beginner-y but hopefully it will help those who are also just starting out and maybe even be a nice refresher for those herbal authorities out there. Motherwort is often used for problems surrounding pregnancy such as pain, post partum depression, and stress before and after labor. It has also been used for other conditions such as heart problems and thyroid disorders. Motherwort or “mother’s herb,” named by the Greeks, has been used to ease PMS and pain during childbirth. Motherwort is incredibly bitter and often taken as a tincture or flavored with tea. Susan Weed suggests using motherwort in, “early labor it will ease labor pains and calms the nerves after childbirth. Take motherwort only once soon after giving birth as consistent use before the uterus has clamped down may cause bleeding to continue. Use one to two times a day in the weeks following birth for easing tension and supporting a woman through the feelings that come with new mothering.” Weed also suggests not taking motherwort during your pregnancy or the heavier days of your period since it promotes blood flow. Motherwort is also used to help with thyroid issues. Since it can calm heart palpitations, anxiety, and induce appetite (because of its bitter taste) it has been used to regulate symptoms of thyroid disorders and bring balance to the body. Those with heart problems such as high blood pressure also use motherwort to alleviate symptoms. “Several species have sedative effects, decreasing muscle spasms and temporarily lowering blood pressure,” Susan Weed. By taking a tincture or tea throughout the day, motherwort may help. One of the most important lessons I have learned while studying herbalism is that every plant has a purpose. Most of the time, it has several. Motherwort, much like its namesake, offers many different ways to treat the body. The Sept/Oct issue is in the mail, so it will be arriving at the homes of subscribers over the next couple of weeks. Pdf subscribers will be getting the link on the 20th. 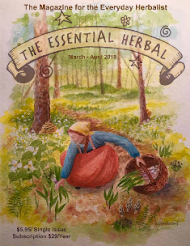 Our talented and generous writers have once again managed to come up with some really original, interesting herbal information that will inspire each and every one of us to do something new, see something just a little differently, or work with a new plant. This issue seems to have a focus on roots and pumpkins, with many other wonderful topics too. Sometimes it’s the simplest things that make a summer in the garden memorable. Growing, harvensting and preserving this pungent, healthful root. Make a quick bread with a bottle of beer. How does a garden become so full of pleasant surprises? A weed with many nicknames, we forget the many uses of this one. Bake up the recipe included, and enjoy these last days of outdoor productivity. A fascinating autumn visit to a permaculture homestead in the Nova Scotia highlands. So many wonderful roots at our “toe-tips” just waiting to help. A primer on herbal kombuchas and oyxmels! Visit with Kristine Brown and Gail Faith Edwards. Yummilicious fall treats that feature our favorite fall vegetable. Complete instructions to make this unusual skin loving soap. Get a better understanding of this critical internal defensive warrior. Think of sage as a turkey herb? It has so much more to offer! Thanks to Carey for the drawings throughout the magazine. Be sure to check out our advertisers (see side-bar). Subscribe to the magazine today to get your very own copy, AND through the month of August check out our Yard Sale at: www.EssentialHerbal.com Thanks! 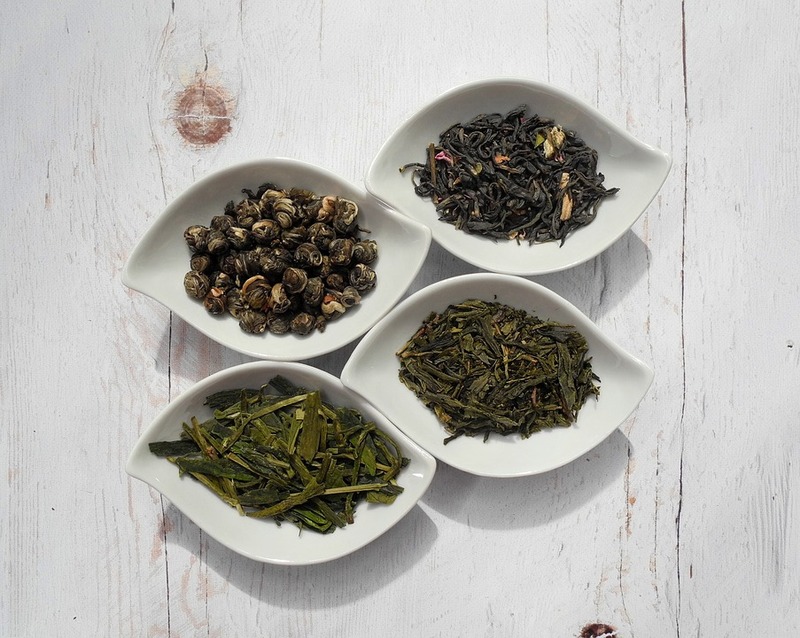 Herbs have always been a part of my life but until I began working for my mother and aunt I had never studied or had a particular fascination with herbs. For me herbs were always a constant in my life. Whenever I had a headache or was stressed over a class Mom always had the best herb to cure whatever ailment I had. I knew they worked, I knew we had them but I had never really focused on how or why. So as I began studying herbs I was amazed by how virtually every plant has a purpose. As the plants and my knowledge grew I was thrilled to put what I had learned to work, which made me have an affinity toward certain plants. I’ve always admired how full and vibrant Calendula flowers are but I had never used the plant for anything other the soap we make. 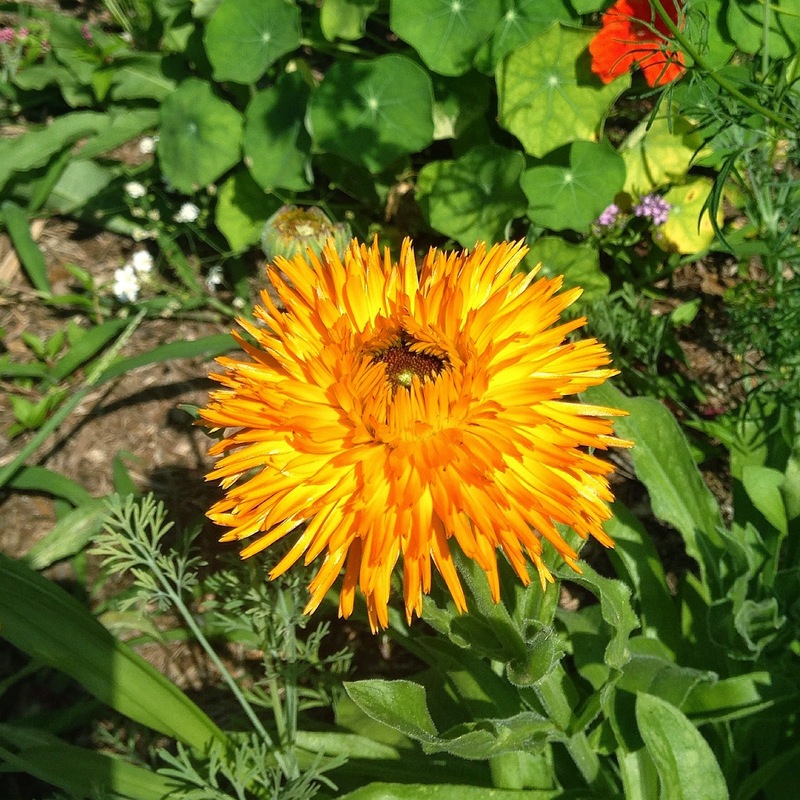 Both my mother and aunt would rejoice whenever they had a great crop or were given Calendula by Marci Tsohonis but I could never figure out why. Was it the color it made in the soap? The smell? No, it couldn’t be the smell. And then I tried my aunt’s Busy Day facial, which contains Calendula. Even though my day’s of acne are (well, almost) behind me I still enjoy using this mask because it does an amazing job of exfoliating my skin and keeping my face clear when breakouts occur. As I’ve been taking Sue Hess’s homesteading class as well as working with Susanna Reppert-Brill at The Rosemary House I have also learned how useful the plant can be. Since it is anti-inflammatory and antiseptic, it is great to use as a salve for bumps and scraps as well as a lotion for skin problems. If used in a tincture or tea it can be ingested for digestion or menstrual issues. For years I did not enjoy the scent of Lavender. Many use Lavender to wind down before bed or to use in scones, cookies, and other delicious recipes. For me it reminded me of the painful days where I forgot sunscreen at the beach or when I was a child and my mother was forced to give me a lavender bath so I would fall asleep after a nightmare. You can imagine why it wasn’t my favorite. That fortunately changed this summer while I was working on a Lavender wand at Sue Hess’s home. I was so amazed by how quickly the entire class took a more relaxed turn as we began to weave and the porch became filled with the scent of Lavender. 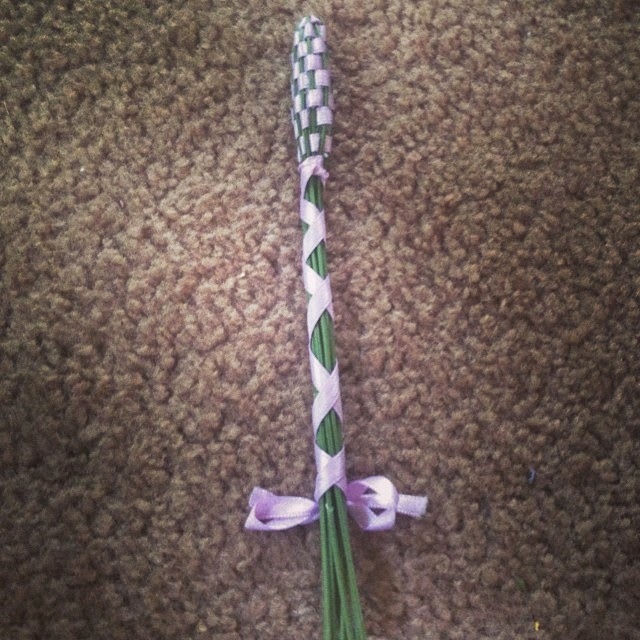 Even now I keep a Lavender wand in my car to roll during traffic jams. It fills my car with the fragrance and I’m more at ease as traffic comes to a complete stop on I-83. I first noticed this plant this summer on the highway and could not get over how it looks like an alien life form. Before I knew it, it had shot up everywhere and I could not help but look at its bright yellow stalks as I walked through hiking trails or into our woods. Once I had learned the name of the plant I had asked Susanna Reppert-Brill about it and she was eager to tell me everything she knew. One use I learned from her was to use it as a preventative for fevers and earaches. It is also used for breathing problems or sore throats and stomach issues. Often taken as a tincture or as oil drops in the ear for earaches and fever. These are my most recent obsessions. As the seasons change I’m excited to learn more about harvesting, uses, and autumnal herbs as well. Even though I have known about herbs all of my life, it’s amazing to finally understand them. There are times when it feels like I'm not walking the talk. It isn't just me either. Having talked to other herbalists who share this feeling, it would seem that the more social media is out there, the more intimidating it is. Between the magazine and helping my sis with her soap biz, there are times when I just barely catch a plant before it is too late. Just an acre or so of working gardens, with the woods and fields being a rare treat at this time of year, it's hard to figure out how others do it. There are frequent, beautiful posts on ethereal settings, long plant monographs, and exhaustive how-to articles, all while maintaining businesses, treating clients, and on an on an on. Sometimes it just seems impossible. I feel like a slug! Jewelweed climbs up the porch steps. But then, something wonderful happened. We are sharing the house right now with a little non-herbal family of a woman and child. You know how being around a baby helps you see the world through new eyes? Well that happened to me this year. I look around and see how this might look to someone else. One of the shipping desks is pulling double duty. It started with the dozens of lavender wands, and the huge bundles of fresh lavender hung to dry in the kitchen. But that's nothing. The kitchen counters are lined with various curiosities and odd bottles (it doesn't help that I recycle every jar that comes near the house). Our roomie casually gets her breakfast bagels with nary a word about the peculiar clutter. Molly and I sit around chatting while we chop mimosa bark or strip leaves. Daily now, we cut a large bowl of elderberries to be dried. There are baskets of leaves and twigs drying everywhere. The weighing table is getting buried. There isn't a room in the house that doesn't hold evidence of what we do here. The back office needs more shelves. I have to smile at her ability to not make any smart cracks about the things that must look pretty weird. I'm grateful for being able to see it through the eyes of another. 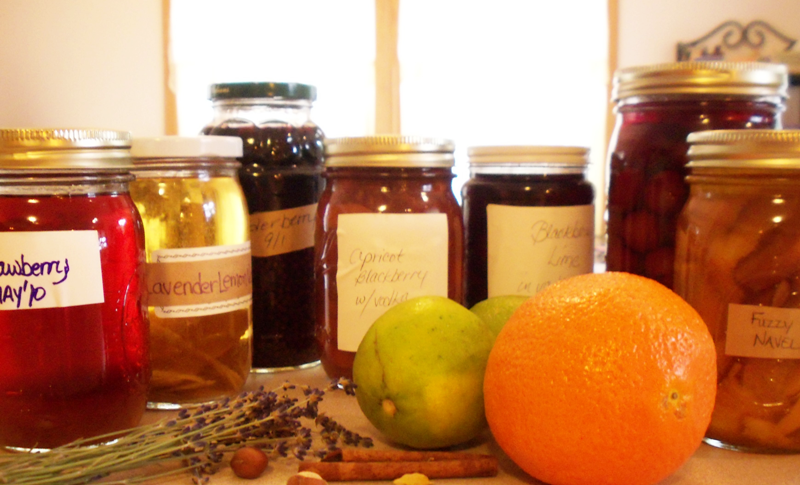 In my kitchen, you'll see a row of jars filled with various fruits that have ripened during the past summer, just waiting for me to turn them into cordials. 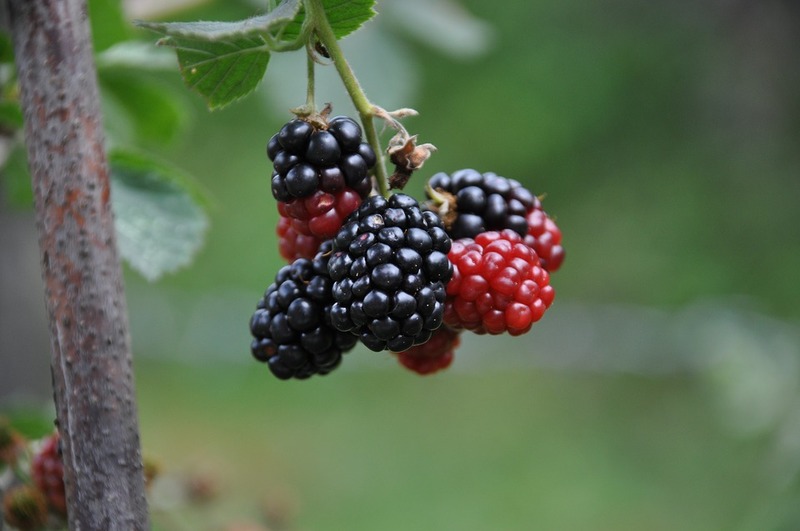 In the recipes below, you'll see that you don't need to steep the fruits for months on end, but I do it this way and have a cordial making spree when time allows in the late fall. 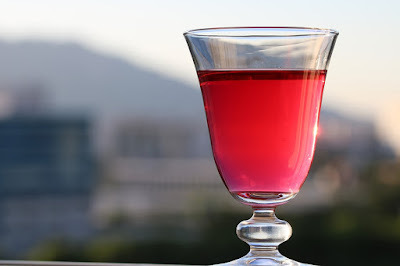 Making cordials is a great way to have a little taste of summer in the winter, a little sweetness after dinner, and they make a superb gift over the holidays. Besides the fruits, you can add different herbs and spices. Ginger is one of my favorites to add, as well as vanilla. There are three main steps to making cordials. Steeping - in this step, the ingredients are steeped in the alcohol (usually vodka or brandy, but you can try anything you like). Sweetening - typically a sugar syrup is used, but maple syrup is a great substitute. Honey can also be used. Aging - The flavors all improve tremendously with age. Generally 2 to 4 weeks is good. I like to leave mine a lot longer, if possible. More than anything (here comes my mantra...) have fun with them and try the things that you like. You might come up with the world's most delicious cordial all on your own. Pick enough berries to fill a clean glass jar in the size of your choice at least a third, and up to a half, full. I use about two quarts of berries for a gallon of cordial. If those lovely wild blackberries don't grow in your neighborhood, you can substitute raspberries or blueberries. The little wild blueberries will give your cordial a more intense flavor than the larger cultivated ones, but either way blueberries are relatively tough-skinned and you will need to macerate them - crush or grind coarsely - before adding the other ingredients. Fill the jar to the top with equal parts of maple syrup and brandy. I usually use E&J brandy, but any decent variety of 80 proof brandy will do fine. As for the maple syrup, I like the dark, late-season Grade B syrup because it has the strongest maple taste and contains more minerals than the three lighter Grade A syrups produced earlier in the sugaring season. You can use whatever grade of maple syrup you prefer, but please make it real. Don't use the artificial stuff!! Put the cover on the jar and shake to mix. 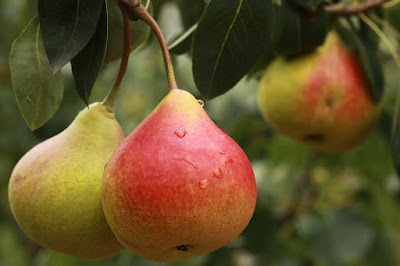 Label, date, and leave the fruit to infuse for at least 10 days, and up to 6 weeks. Shake occasionally when you think of it. 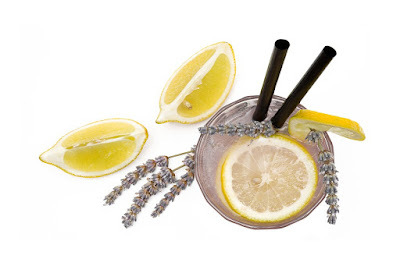 Strain out the fruit (marvelous over ice cream) and decant the cordial into glass jars or bottles. Keeps for years without refrigeration - but I guarantee it won't last that long! Cut unpeeled peaches in quarters, and add them to a wide-mouth glass jar. Pits optional. Fill the the jar with brandy, to cover the fruit. (I use E&J brandy, which has no preservatives,although as a child of the 60s it still galls me to buy Gallo...). Anyway, let it sit, shaking it up occasionally, until the peaches lose their color and start looking mushy. 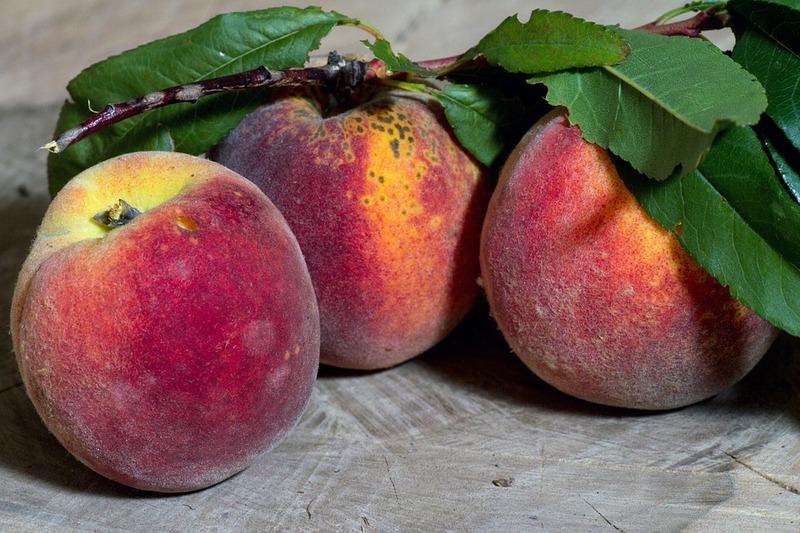 Then, depending on where you are in the season, you can either proceed to the sweetening stage or strain and pour the brandy over a new batch of fresh peaches (and pits) for a more intense peach flavor. When you're ready to sweeten and bottle, strain out the fruit and add the ginger syrup -- a quart per gallon, or more to taste. Start with a basic simple syrup recipe -- 2 parts water to 1 part sugar (demerara is my preference). Add sliced, unpeeled ginger to taste. I like it HOT, so I use LOTS of fresh ginger -- at the very least a cup. Simmer/boil for 15 minutes or so til it thickens up, let it cool with the ginger in it, then strain and add to the peach brandy. Decant to smaller bottles as needed. Use the basic fruit/brandy/maple syrup cordial recipe with either peaches or pears (or any other fruit), using 1/2 fruit and the rest equal portions of brandy and maple syrup -- or more or less of either one depending on how sweet you like it. I always look out at yard sales for pretty little bottles to fill up with summer cordials for winter solstice gifts -- a little bit of midsummer in midwinter! Slice open and scrape the vanilla bean into the water. The more you scrape/chop the bean the more flavor you will release. Boil the water, sugar and vanilla bean together for 10 minutes. 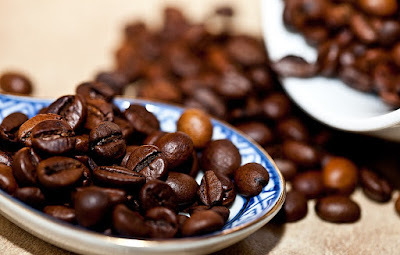 Turn off heat and slowly add the instant coffee and keep stirring. Allow to cool and combine this sugar/coffee/vanilla syrup with the vodka. It tastes yummy right away but improves and mellows as it ages. If you want a cleaner product strain out the vanilla particles. If you want an even smoother taste add 1 t glycerin to the finished blend. Yield: about 4 cups. Steep the leaves in the vodka for 24 hours only. Strain, filter, and add sugar syrup. Ready in 24 hours! Steep berries and the juice in the vodka for one week. Taste and add sugar syrup as needed. Note: Many frozen berries are pre-sugared. Put elderberries in a quart jar & muddle well. Add cinnamon sticks. Then add equal parts brandy & maple syrup until the jar is full. Cover tightly. Macerate for 6 to 8 weeks, shaking gently every few days. Strain & bottle. Muddle cherries in 1/2 gallon wide-mouth jar. Add cacao chips, brandy & maple syrup. Stir well. Put on the lid and wait. This needs to age for 6 weeks. This beverage needs to be made up early in January for use mid- February, but it will be worthwhile. The flowers give it a beautiful deep pink color, and can be served with ginger ale and lime slices. The following ingredients should be placed in a ½ gallon jar with a tight fitting lid that allows for shaking. Be sure to label and date the jar. Put out of sunlight while it sits for 1-6 weeks. Shake occasionally. All herbs and flowers are dry. After sitting this mixture is ready to decant. Strain through fine cheesecloth or muslin into a pitcher large enough to also hold the additional 5 cups of Grand Marnier and simple syrup (below). 4 c simple syrup made from 2 c water, 2 c sugar. 1 T either rose water or orange blossom water. Add these ingredients to the vodka mixture and blend well. Allow this to rest for a couple of weeks so that the flavors can become well acquainted. Pour into beautiful bottles, cork, label, and enjoy. First infuse the lavender in the vodka for 24 hours. Strain. If you leave the lavender longer, it gets too medicinal for my tastes. Next, infuse the lemon zest in the vodka for one week, and strain. Make a simple syrup with the sugar and water, boiling gently for 15 minutes without stirring. Cool well, and add the infused vodka. Allow this mixture to steep together for at least 2 weeks. Serve ice cold. Substitute rose geranium leaves for lavender buds for a real treat! 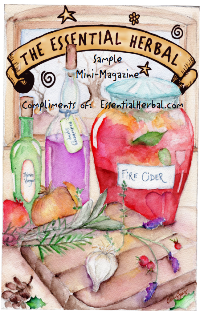 At this time of year, you can have some fun with the herbs and fruits available. I hope you got some ideas from these recipes! As many of you know I have begun working with my mother and aunt in their businesses. It is a constant learning experience that I am grateful for and I am thankful that it there will always be something new around the corner. I still consider myself a novice when it comes to all things herbal but I thought that my advice might inspire, encourage, maybe even advise others or at least give you a chuckle. 1. Always, always, always wear garden gloves. A well-worn pair of garden gloves. I know some people are probably rolling their eyes because you can’t truly feel the dirt or the plants as they grow – or you may just think I am a wuss but I do have my reasons. The obvious reason for wearing gardening gloves is to keep your hands clean. Before I had made a decision about purchasing garden gloves my aunt had told me a story of when she had unknowingly picked up a dead bird while weeding. I had gardening gloves by the end of the day. I also prefer to wear gloves when working outside because it keeps all of the nettles, prickers, or anything else lurking in your garden beds from stinging. After enough childhood flashbacks of tearing into a jewelweed plant after stepping on nettles or hurriedly gnawing on plantain before slapping it on a mosquito bite, I knew it would be best to take a preventative step and just get the gloves. And the great thing about gardening gloves is that you can take them off. Want to pinch mint leaves between your fingers? Take your gloves off. Want to feel your tomatoes’ firmness or harvest that pepper? Go ahead and take your gloves off. You can always put them back on when heavy duty planting or weeding is necessary. 2. Prepare to have personal vendettas against woodland creatures. Let me start this off with just saying Disney lied to all of us. Woodland creatures won’t help you clean your house or make a dress, they will only eat your entire tulsi crop or the five cherries your tree miraculously grew that year. And they won’t stop. Before I had begun studying herbs and gardening, I thought my family was a bit extreme about their gardening practices (see the blueberry cage). But now I understand. So go ahead and put up the chicken wire around your veggies. Or grow companion plants to keep the insects from munching on your beloved herbs. Grow rue if you must. Whatever you can do to keep your garden growing, because that adorable bunny over there is only thinking about one thing, “I’m so going to eat that entire holy basil plant when you leave.” And it will. It’s a ruthless eating machine. Now I’m not saying you should weed in the middle of the night if you can’t sleep (it would be nice and cool though) but if it’s a nice day out take some time to clean up one section of your garden. Whenever Mom and I do this we end up getting way more done than what we thought we would do and it always ends up looking amazing. If your schedule is too busy for even that, simply weed around the plants you're harvesting to make dinner that night. If you make a variety of dishes that week, before you know it your garden will look much better on Friday than it did on Monday. Don’t be afraid to recruit people as well. Do you have a friend who wants to start gardening but is scared to? Ask them to come over to your house once a week to help you garden. Offer advice and talk them through your garden. They’ll have hands on experience to start and you’ll have a well-weeded garden! Well, that’s what I have to offer for now. Hopefully it will encourage you try that new recipe you’ve been eyeing on Pinterest, weed away all the clutter in your garden, or harvest all the herbs you can before winter hits!